On the "north end" of Quadra, our home is half an hour from the Campbell River ferry, more remote than most Quadra Island properties, yet actually just past halfway up the island geographically. Most of North Quadra is still unpopulated and full of wilderness, wonder & woodlots. Our home feels remote and tucked away on the lake shore, but is just off the main road and is only 15-20 minutes away from the Heriot Bay town centre. 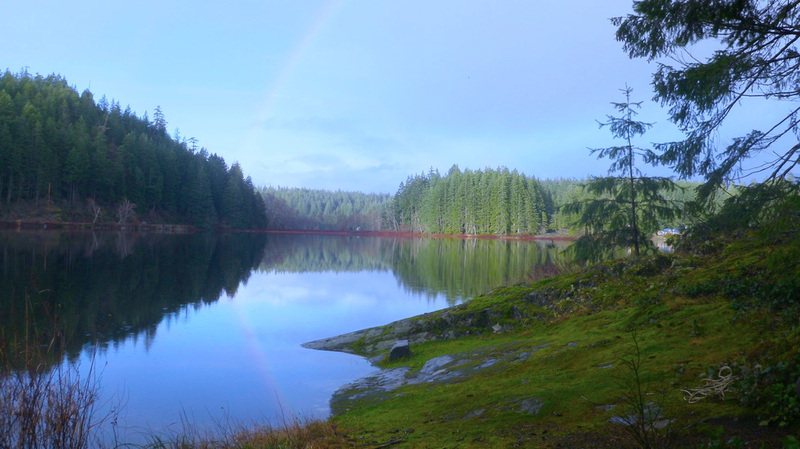 The highlight of this location is the 160 acres of wilderness that stretches from the shoreline of the lake all the way to the ocean and Village Bay Native Reserve, belonging to Cape Mudge Band. Unmaintained trails follow the rocky ridges through towering fir trees shrouded with moss and a forest floor covered in gigantic ferns to Village Bay, which has a south eastern exposure onto the Georgia Strait. Sea kayakers will be in heaven to have access to some of the best paddling around Quadra and beachcombers will love exploring the ocean shoreline. 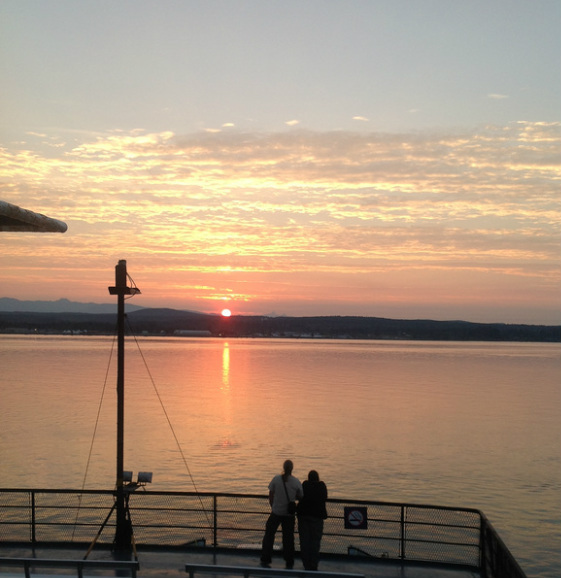 The journey to Quadra Island begins with beautiful Vancouver Island. Take the big ferry from Vancouver to Nanaimo or fly in to the Nanaimo, Comox, or Cambell River airport. The ferry to Quadra is a short 13 minutes or so from Campbell River, but you enter a whole new realm when you land on Quadra. Village Bay Lakes is the largest body of fresh water in any of the Discovery or Gulf Islands. The lakes largely lie within Main Lake Provincial Park, which encompasses six interconnected lakes, protecting a diverse watershed and offering a beautiful haven of wilderness camping, canoeing, kayaking, swimming and hiking. Residents of the area organized a horsepower restriction for boat motors in the early 90s to protect lake shore ecology and maintain the safety of prize swimming areas where children often play in the summer. Main Lake Provincial Park was established a few years later in 1997. The lakes and related watershed are ecologically and geologically exceptional, home to over 72 bird species and 234 plant species, and the return site for thousands of salmon every fall from the ocean. All full-season creeks that flow into the lakes are spawning habitat for salmon. Warm water temperatures offer wonderful summer water activities, and the small motor limit makes for wonderful paddling. Swim or paddle to the small island out in the lake. Osprey, eagles, herons, kingfishers, ducks & otters are regular sights on the lakes. If you pull out from our canoe launch and head to the right, a 2 minute paddle will take you to the head of Village Bay Creek, the drainage point of the lake chain into the ocean. Quadra Island Salmon Enhancement Society has set up a fence for counting the salmon as they return from the ocean.